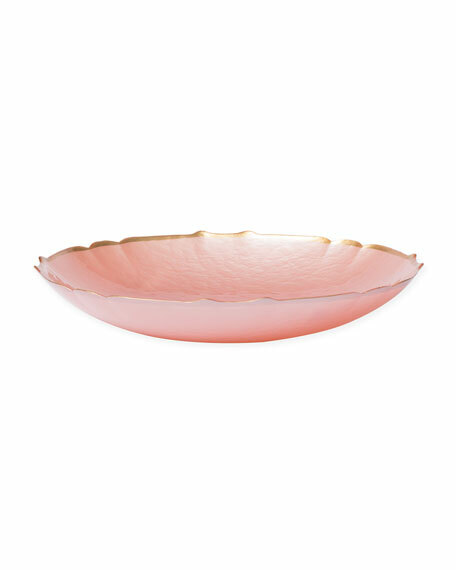 The Pastel Glass Large Bowl is the epitome of chic. The classy golden details bring life to your table, while the sassy pink hue adds the punch you need to work the room. Glass bowl with gilded scalloped edge.